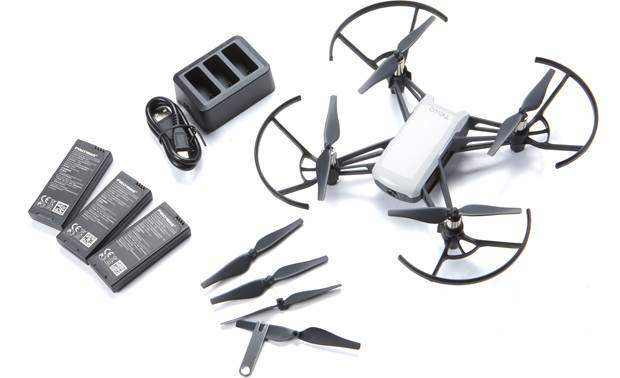 The photo above was from DJI website. 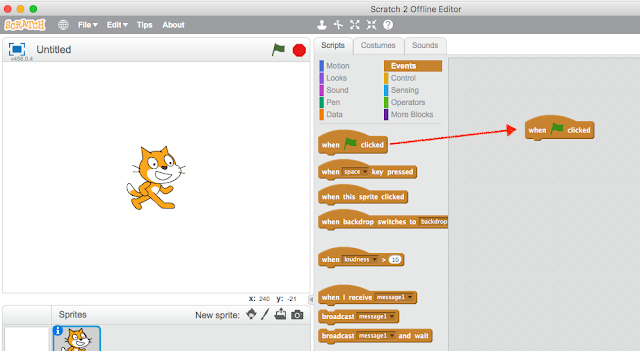 If this is your first try to program Tello with Scratch, please do this in door first! There were few times where I placed wrong blocks and Tello just kept went up and stayed close to celling and I was unable to control it at all. This was caused by wrong command blocks I used. If I was outdoor that time, I didn't know where Tello would fly to. Install Node.js from here: https://nodejs.org/en/ This program is simulate the Tello smartphone App that it allows you to communicate your PC/Mac to Tello. You do not need to know how Node.js works. Just run the Tello.js script and Tello will be controlled by Scratch. 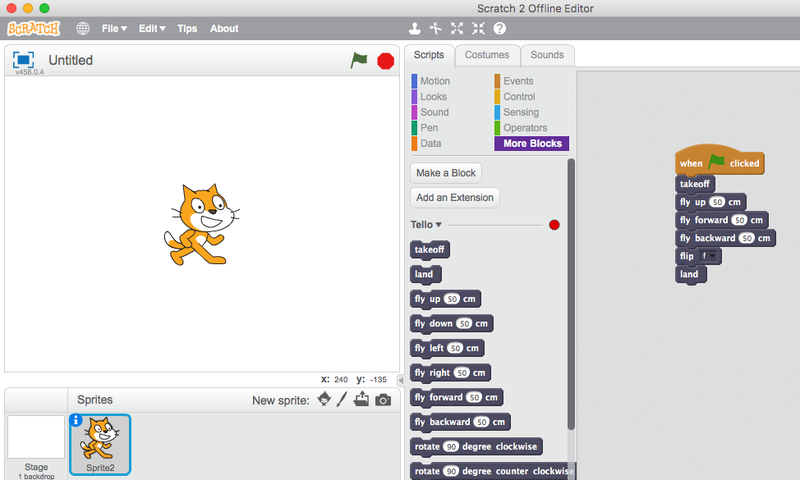 Start Scratch 2.0. 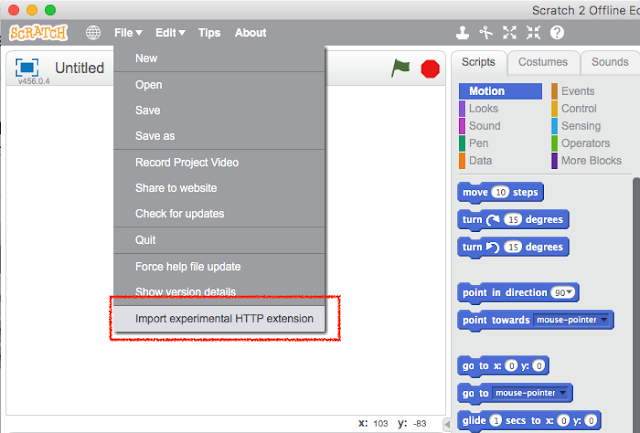 Hold "Shift" key and click "File" menu, then click "Import Experimental HTTP Extension" and select "Tello.s2e" file where you just downloaded. 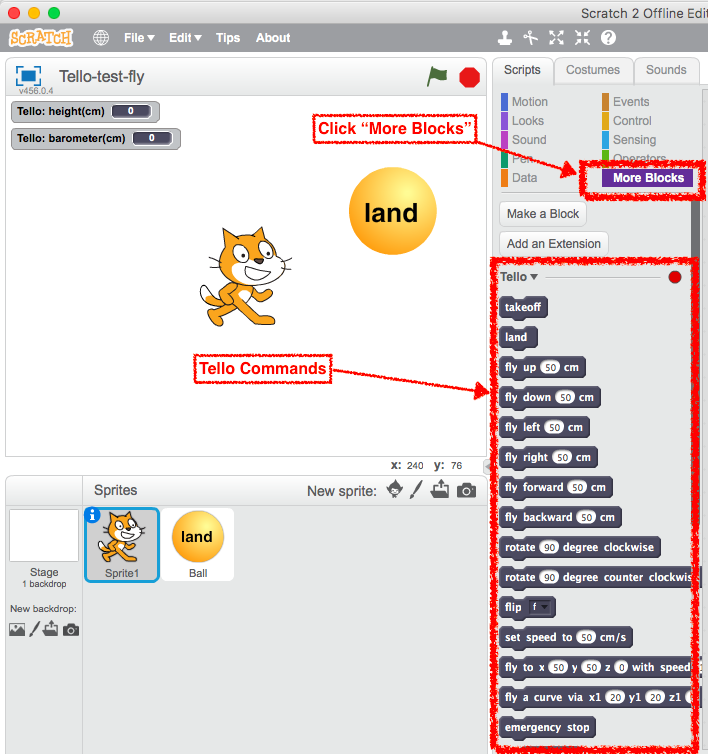 The Tello interface will be shown in Scratch under "More Blocks". All the Tello command blocks are placed below. 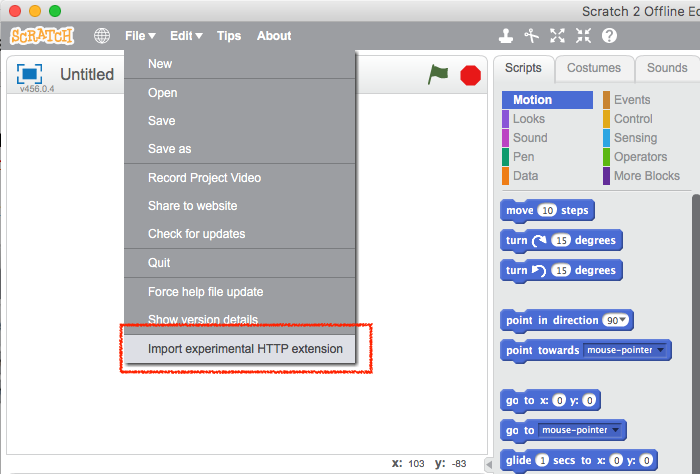 First, click "Events" and drag "When green flag clicked" block to the scripting area. Then click "More Blocks" and drag all the blocks to scripting area according the graphic shown below. 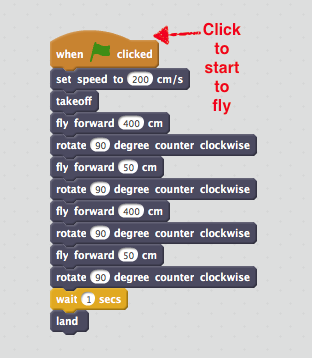 First, "Takeoff", then "fly up 50cm", "fly forward 50cm", "fly backward 50cm", "flip f", and last "land". These commands are quite self explanatory. 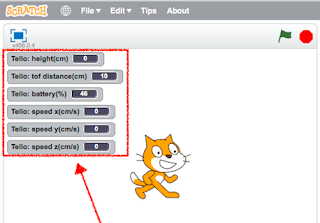 You may change the numbers in the white oval area to change the fly distance. The "flip f" block is tell Tello to perform a flip operation. "f" means forward and you can change to "b" for backward, "l" for left flip, and "r" for right flip. Click "File"->"Save" this script for future use. Next, connect your PC/Mac Wi-Fi to Tello. Usually, the Wi-Fi SSID is "Tello-XXXXXX"
If you see "Data received from server: ok. 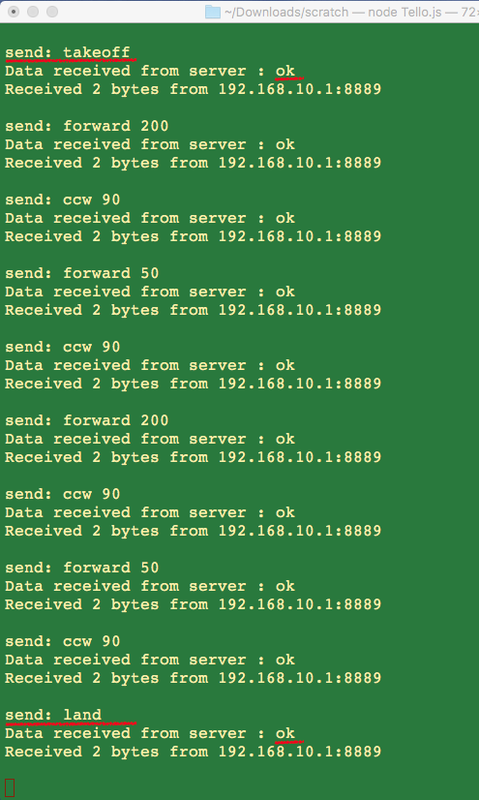 Received 2 bytes from 192.168.10.1:8889" Means the connection is ok! 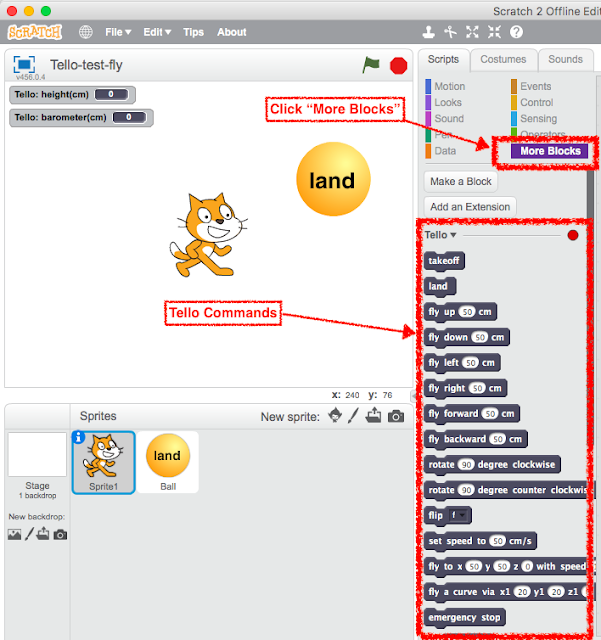 Click the green flag and your Tello should be able to fly according to the command blocks you placed in the scripting area. Here I try to let Tello to fly in a square and then land. 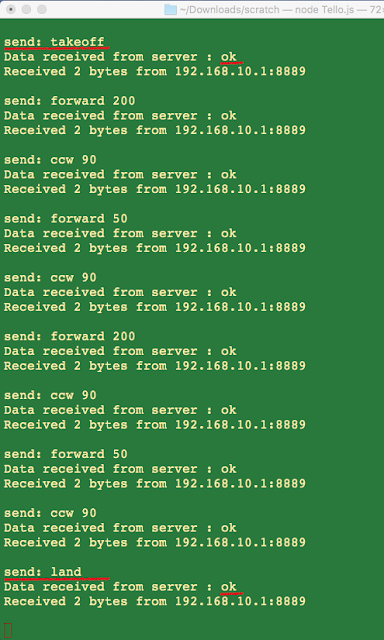 From the terminal, you can see what actions have been performed and Tello responded with "OK". It means the communication is good! You may also show Tello current status in the Scratch stage by click the option box in "More Blocks". See the screenshot below, such as showing height, battery %, and speed...etc. 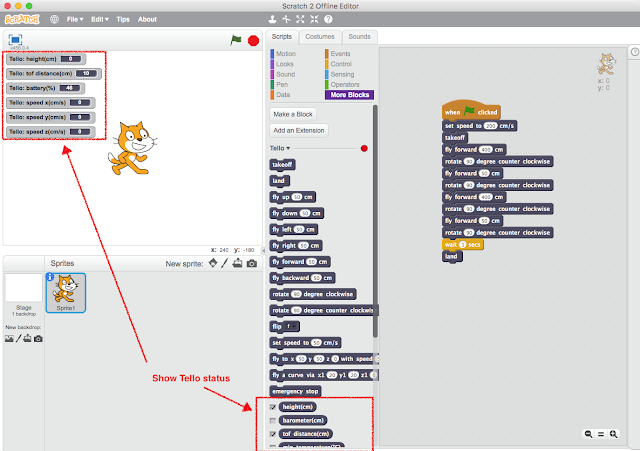 Here is video of Tello followed commands from Scratch to share with you. That's it. I hope you enjoyed this tutorial and have a safe flight. !!! 請 注 意 !! !